General Motors Co. and Amazon reportedly both are holding investment discussions with electric pickup maker Rivian Automotive. The talks were first reported by Reuters news service. Amazon could not be reached for comment, and a spokesman for Rivian told Trucks.com that the company doesn’t comment on financial speculation. Rivian made a big splash when it unveiled its battery-electric trucks – a pickup and an SUV based on the same platform – at the Los Angeles Auto Show in November. Large companies such as GM and Amazon with deep pockets and interest in the electric-vehicle market would be interested in Rivian, according to a source close to the company. Analysts said such a deal makes sense. “We believe the next and potentially imminent major product frontier for EVs will be the highly lucrative and US-dominated pickup truck market. A culmination of battery cost reduction, architecture, duty cycle, and price point; e-pickups are an important area of investor focus,” Adam Jonas, an analyst with Morgan Stanley Research wrote in a report to investors. “Amazon has spent the last few years building out and expanding its logistics network and recently invested in autonomous driving startup Aurora. We believe the reported investment discussions with Rivian Automotive, if confirmed, could represent a potential opportunity for Amazon to use the technology to shape electric delivery vehicles to support its own logistics effort,” Jonas said. But Antti Lindstrom, an analyst with IHS Markit, questioned what Amazon’s goal would be with such an investment. “One has to wonder how seriously Amazon visions itself being in the vehicle world eventually – do they really want to get into that instead of being the providers of merchandise?” Lindstrom said. A GM investment makes more sense. “This shows how these specialized technology startups will be gobbled up by the established players in the vehicle sector who need the expertise and get it fastest by taking over those specialists,” he said. Moreover, Trucks.com’s spy photographer got shots of Ford testing an all-electric F-150 pickup truck earlier this month. The Reuters report, citing anonymous sources, said the sums GM and Amazon are discussing would raise Rivian’s valuation to between $1 billion and $2 billion and give both companies minority stakes in the Plymouth, Mich., electric truck company. Successful negotiations could lead to an investment announcement as early as this month, the report said. Rivian is a privately held company whose finances are not publicly available. But Rivian founder R.J. Scaringe told Trucks.com in an earlier interview that a major backer is the investment arm of Abdul Latif Jameel IPR Co. Ltd., a Saudi Arabian conglomerate whose holdings include a major Toyota car and truck distributorship. ALJ provided $500 million in backing, Scaringe said. Sumitomo Corp. also has invested in Rivian, he said. 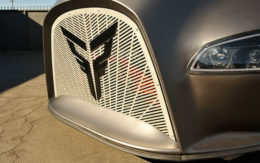 The company has developed a battery-electric pickup and SUV aimed at the upscale outdoor recreational and adventure markets. The modern-looking crew cab R1T pickup boasts an 11,000-pound tow rating and cargo capacity of 1,760 pounds, according to Rivian. The truck boasts as much as 753 horsepower and 826 pound-feet of torque that is delivered to the wheels via four independent electric motors – one for each axle. Acceleration is as quick as 3 seconds from 0 to 60 mph for the top-of-the-line model. The top-trim version will offer up to 400 miles of range from a 180-kWh battery that is almost 80 percent larger than the biggest battery pack available in a Tesla electric car. The R1S sport utility uses the same powertrain and underpinnings and offers almost the same horsepower and range figures as the pickup, despite its larger cabin. Rivian hasn’t priced the SUV, which it said would go into production in 2021. Base price for the pickup is $69,000 before incentives. The truck is scheduled to begin production next year. The company already owns and is outfitting a former Mitsubishi assembly plant in Normal, Ill. That could be an attractive asset for potential investors. Rivian isn’t the only electric pickup developer. In addition to Ford, both Tesla and startup Bollinger Motors have e-pickups in the works. But Bollinger’s work-and-sport trick is aimed at a slightly different market than Rivian’s. Tesla hasn’t offered any specifics about its proposed electric pickup. Moody’s Investor Service has estimated that battery-electric cars and trucks will make up almost one-fifth of the global light-vehicle market by 2030.